Following our custom of providing the direct download links for major Adobe products such as Creative Cloud, CS6, Acrobat DC, Elements 15, and Lightroom 6/CC, below you’ll find all the DDL for the just-released new Adobe Flash Player 10.2. This is important because the free Flash Player is the most widely-used and often-downloaded software in world, and some people find it easier to gain access without a download manager (Akamai/Adobe DLM), or with their own DLM, and without additional products or toolbars included. What’s New in Flash Player 10.2? Flash Player 10.2 introduces Stage Video, a full hardware-accelerated video pipeline for best-in-class, beautiful video across platforms and browsers – making Flash video dramatically more efficient (a 10X reduction in CPU usage in some demos). This advance in performance builds on the benefits of H.264 hardware accelerated decoding and optimized power consump­tion introduced in 10.1, and works with all of the existing video on the web viewed in Flash Player – so will save significant battery life on portable computers and mobile devices. 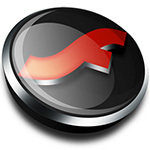 Additionally, this release of Flash Player offers all new features like multiple monitor full-screen support (enabling you to watch videos in true full screen on one display while multi-tasking on another), custom native mouse cursors (another popular request from designers and devel­opers), and Internet Explorer 9 (IE9) hardware accelerated rendering support. And other existing capabilities have been enhanced – like better sub-pixel rendering for superior text readability, fast switch between bitrates to automatically adjust to changing network conditions, and improved localized input method editor (IME) support. Adobe Flash Player is a cross-platform browser-based application runtime that delivers uncompromised viewing of expressive applications, content, and videos across screens and browsers. Flash is the standard for engaging PC experiences – 99% of PCs worldwide have Flash Player installed and 85% of the top 100 websites use Flash. Approximately 75% of online videos are viewed and 70% of web games are delivered using Adobe Flash technology. More than 3.5 million designers and developers use the Flash Platform to deliver expressive content and applications that run consistently across the widest reach of browsers, operating systems, and devices. can i use all browsers ? Hi nitra, thanks for your question. Yes, there are two different downloads for Windows above, depending on which browser(s) you want to use. There is only one download for Mac that covers all browsers. Hello ravindran, just follow the links and instructions above and you should be fine… and post back if you have any difficulty – thanks. Hello Phil, that depends – what version of Android are you running, is it the latest? See this thread about running Flash that phone. Sure, here are the direct download links for Adobe Flash Player 11.3 (the latest), and for Flash Player 10.3.
i want adobe flash player on my computer. How to install it? thanks for the info.